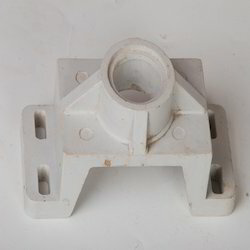 Prominent & Leading Manufacturer from Mumbai, we offer synchronous step motor covers, fly wheel bracket, cable cleat, insulating discs, support block and rocker ring. 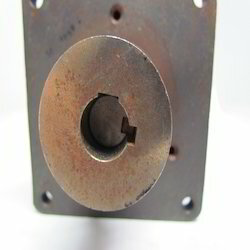 We are engaged in offering a wide range of Synchronous Step Motor Covers. These Synchronous Step Motorcovers are extensively used to protect the motor against rust and any outside element, which can affect the motor badly. The entire range of products is used in different industries for safeguarding their motors. We offer these products at market leading price range. We are one of the renowned manufacturers and suppliers of a wide assortment of Insulating Discs. This premium grade Toroidal Transformer Insulating Discs is widely used for supporting purposes in different industries. 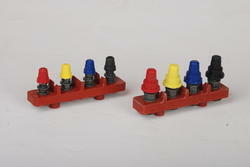 We take into account the diverse needs of various industries and offer suitable range of products. Thus, these products are appreciated in the industry. 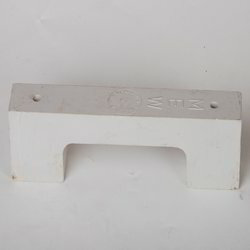 We are one of the renowned manufacturers and suppliers of a wide assortment of Support Block. 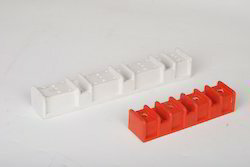 This premium grade Diode Disc Support Block is widely used for supporting purposes in different industries. We take into account the diverse needs of various industries and offer suitable range of products. Thus, these products are appreciated in the industry. 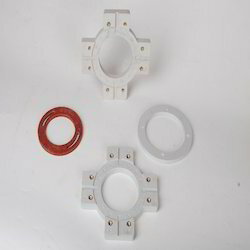 We present an impregnable range of valve Rocker Ring. This premium qualityRocker Ring is very popular in the international market segmentsfor its dimensional accuracy, proper fitment, effective performance and durability. We make use of the finest grade raw materials that are procured form reliable vendor base of the industry. With the active support of our team of experts, we are engaged in offering the most sought after range of Single and Double Switch Box Terminal Plate. This high performing Switch Box With Feed Terminal Plate are offered in conventional designs and are also customized as per the specific requirements of our clients. We offer the entire range as per the needs of our clients. 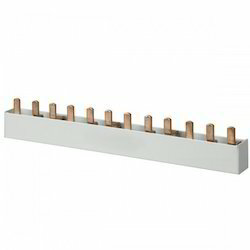 We are engaged in offering a wide range of Busbar Stiffner. They can be tabbed on sheets and interdigitated for maximum yield. Sheets can then be plated (usually tin or tin-lead) and then clipped out of the sheet of metal with minimal damage to the fragile 0.35″ wide finger tabs. Maximum efficiency and yield. Can also be used as a heat sink or power/ground bus.